This desirable Ashton Woods âMilanâ model features a spacious tri- level floor plan which includes 4 bedrooms and 3.5 baths. The first floor features a 4th guest room with full bath. The main living space is located on the 2nd floor which includes the living room, kitchen, dining room, breakfast nook and covered patio. The gourmet kitchen features 42â shaker cabinets, granite counter tops, stainless steel appliances, and an oversized 90âx46â island with counter height seating, closet pantry and subway tile backsplash. The master suite and additional 2 guest rooms are located on the 3rd level. The master suite features dual sinks, a large walk-in-closet and a oversized glass enclosed shower. The home features plenty of storage/closet space including two walk-in closets, 2 linen closets, 1 hall closet and under stairs storage. Some other great features include an attached 2 car garage, volume ceilings for a spacious open feel and Tri-zone AC with digital programmable thermostat on each level. 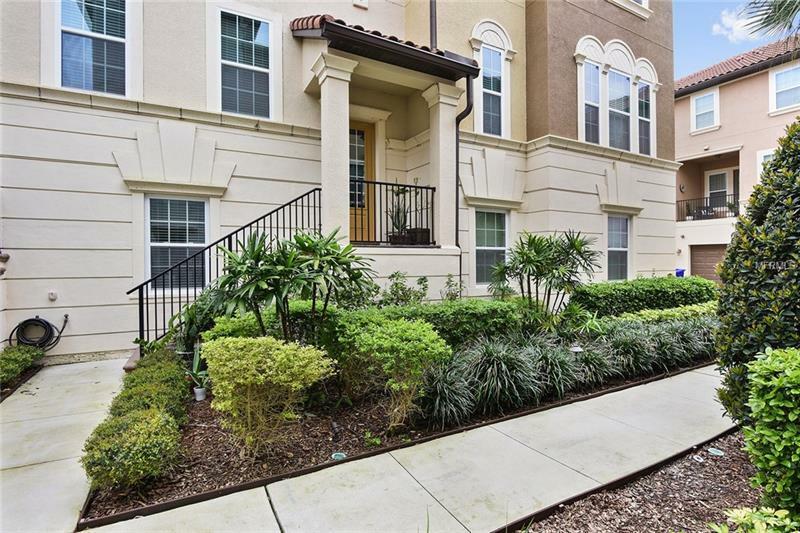 Fountain Parke is a gated upscale town home community located in the heart of Lake Mary. The community amenities include a community pool, clubhouse, billiards room, tennis courts, golf putting green and playground. Call today for a private showing! Pet Restrictions: Verify with Mgmt. Co.